Sometimes You Find the Fabric, Sometimes the Fabric Finds You. 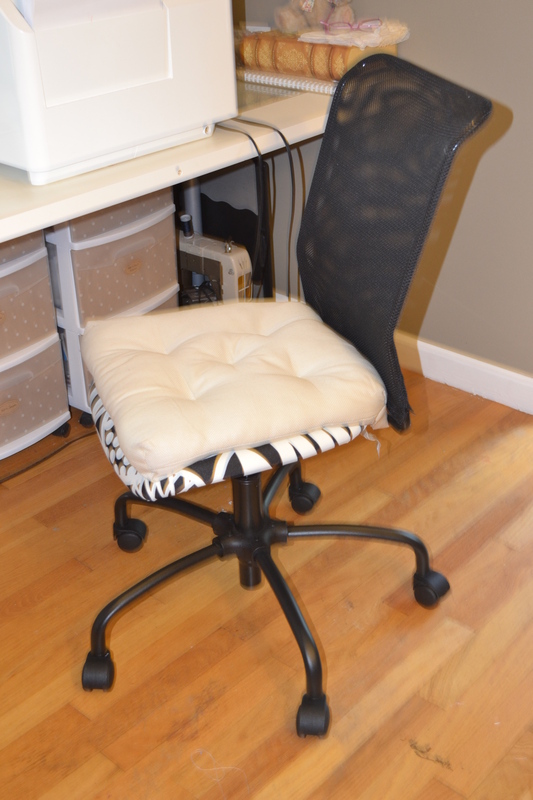 Decorating and organizing the sewing room has been a slow process and may never really be done, but a new chair was a must. My back was suffering from using an worn out office chair, left behind by one of my kids. After polling some of my fellow Ready to Wear Fasters, and checking out their recommendations, I bought the TORBJÖRN desk chair from Ikea. 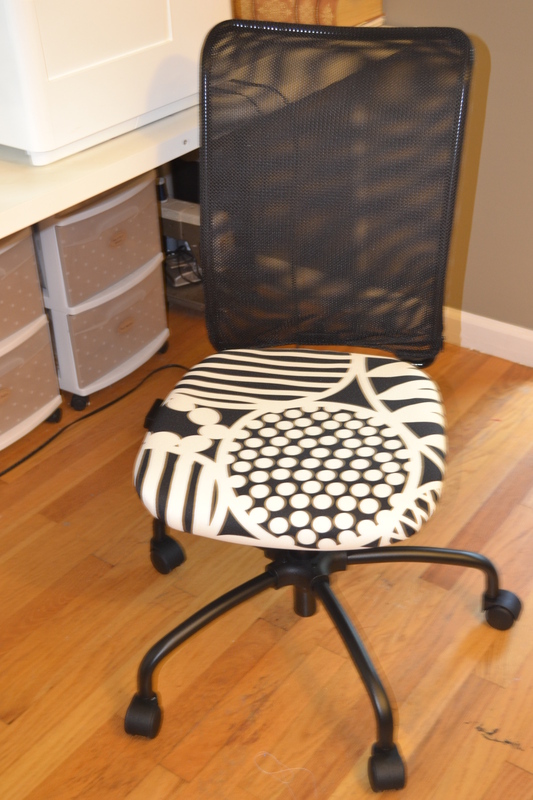 It fits my short legs and supports my back, but that print on the seat cushion didn’t quite match the decor of the sewing room. Of course the previous chair didn’t either, it was actually ugly as well as uncomfortable. I also picked up an additional cushion for those marathon sewing sessions. 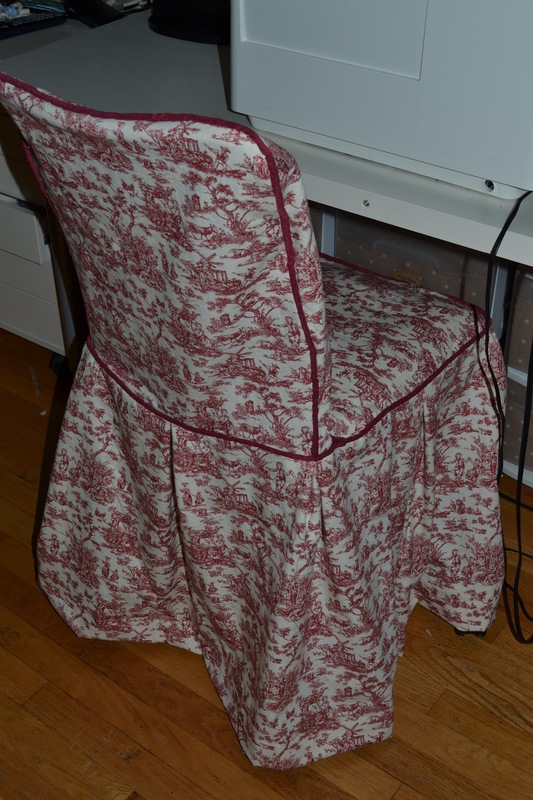 The shape of the chair made for an easy slipcover project, allowing for comfort and color coordination. Not being sure what I wanted, I aimlessly search the various online fabric stores and settled on this. The color and proportion seem just a little off, so it occupied various spots in the room while I mulled it over – for 3 months. Maybe that should have been a clue it was not the right fabric, I couldn’t commit. 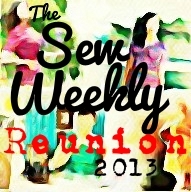 Last week the right fabric found me. 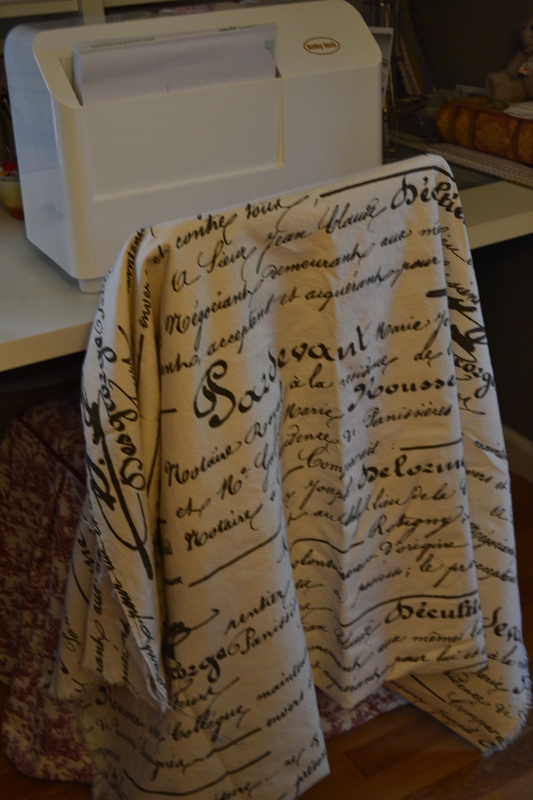 A coworker asked if I would be interested in some toile. I said yes, thinking I could always pass it on to someone else. When she brought it in the next day, I knew it would be perfect for the chair. Ta da. Can you tell it’s the same chair? The piping is made from a coordinating fabric I found on the JoAnn clearance shelf. Now it’s cute and girlie and fits the room. 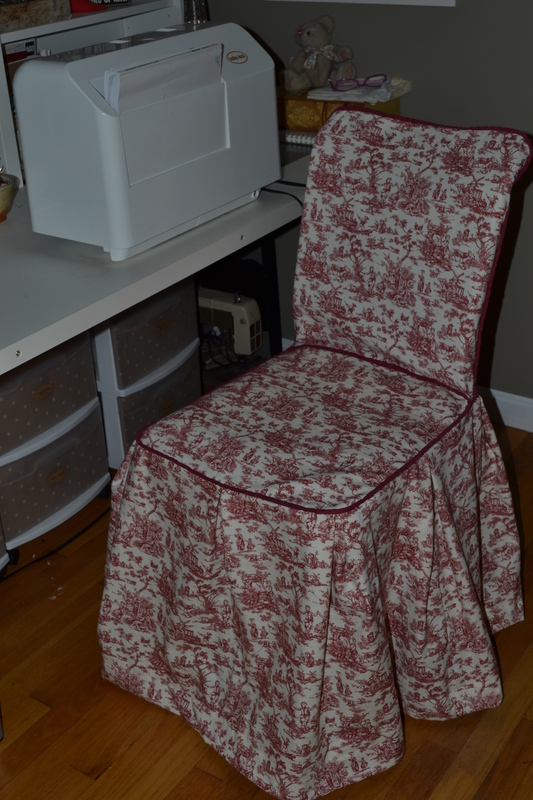 Amazing how fast you can get something done when you have the right fabric. What an amazing transformation. 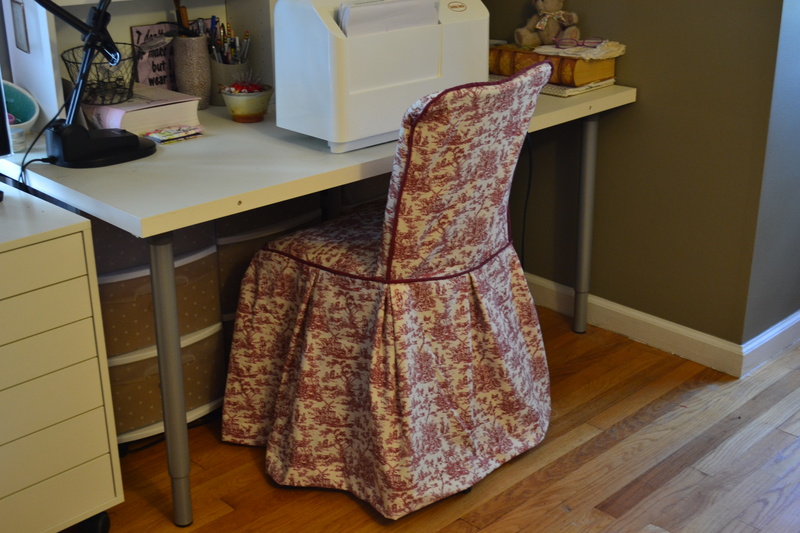 The chair looks cute and as it offers support and cushioning, I dare say you will spend lots of happy sewing hours in this chair.